Does your horse have mites? If he suddenly starts stamping his legs, he could have mites. 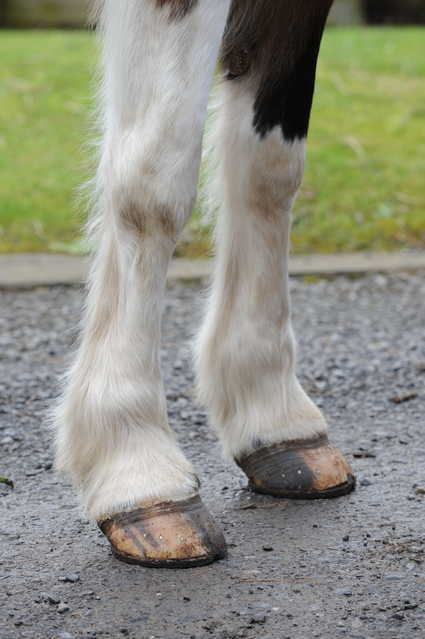 These drive him mad as he desperately bites or rubs his forelegs and stamps his hind legs in a bid to stop the itch. Affected skin can become thickened and scabby and the skin’s surface can become damaged, allowing secondary skin infections to develop. In these cases, swollen limbs or lameness may result. Remember when using Hibiscrub to only use a weak solution, just enough to turn the water slightly pink. 12mls of Hibiscrub per 1L of water should be sufficient. Keeping your horse on a shavings bed and completely clearing the stable out once a month is recommended to keep mites at bay. If your horse is affected, ask your vet to prescribe an antiseptic, anti-inflammatory ointment.